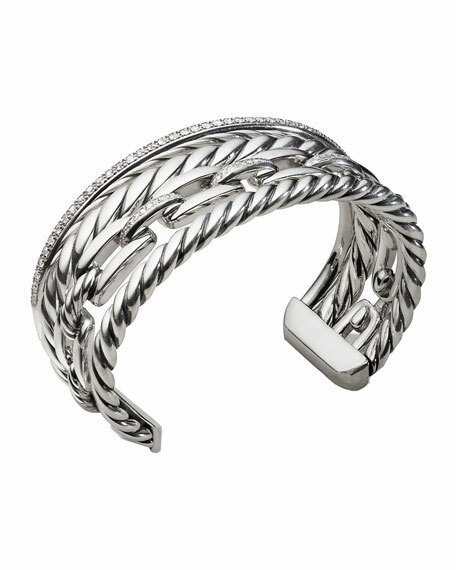 David Yurman cuff bracelet from the Wellesley Collection. 1.037 total diamond carat weight. David Yurman bracelet from the Pure Form Collection. Twisted sterling silver. Tapered frame, approx. 0.7"H (17mm). Hidden hinge opening. Imported.